Release Date: April 27th, 2007 (Quad Cinema) by Truly Indie. BASIC PREMISE: A documentary about the Crispus Attucks Tigers, the first all-black high school basketball team to win a state championship in 1955. 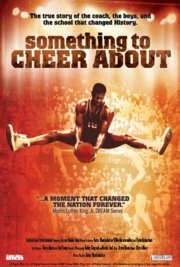 ENTERTAINMENT VALUE: This mildly fascinating documentary feels somewhat incomplete without enough attention on the basketball players or their inspirational coach. Before 1955, the Crispus Attucks Tigers were losing many basketball games. When Ray Crowe stepped in as their coach in 1955, everything changed for them. They mostly played teams outside of big cities, such as rural areas where farmers have never seen any black people before. Racism and segregation were clearly going on around them beyond the courts. Brief interviews with the players, such as Oscar Robinson, highlight the pivotal role that Coach Ray Crowe has in their road to winning the state championship in 1955. They recall how he helped them hone their skills on the court while ignoring any racism, especially by unfair referees. Director Betsy Blankenbaker fails to include enough details about this incredible story. Footage from the basketball games does add some excitement, but nothing particularly surprising or intriguing. Given the running time of only 1 hour and 5 minutes, the story of the Crispus Attucks Tigers deserves a longer film with many more interviews. Something to Cheer About feels too brief, rushed and underwhelming without humanizing any of the players or the coach. INSULT TO YOUR INTELLIGENCE: Lacking insight and not enough revealing interviews with the players and the coach. IN A NUTSHELL: Mildly fascinating, but too brief, underwhelming and lacking insight.